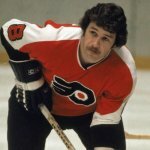 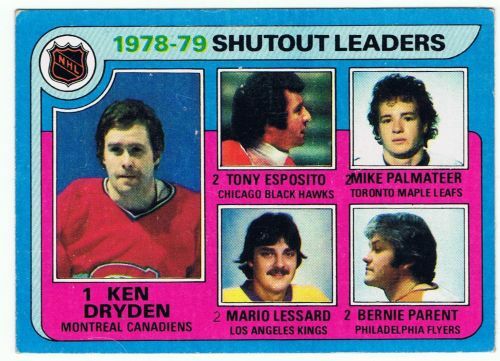 1979-80 Topps #8 Ken Dryden/Tony Esposito/Mike Palmateer/Mario Lessard/Bernie Parent Shutout Leaders in exmt condition. There are 2 variations of this card. This is the correct version. The error version has Palmateer's & Lessard's names switched.